Package your gift cards and gift certificates in the oversized custom printed gift card holder boxes available at Business Image Printing. The box is available in two different styles. One to fit your gift cards and the other to fit your gift certificates. The gift certificate boxes comprise of a white cardboard stand to fit the custom gift certificates. On the other hand, the gift card box incorporates slits to hold in the gift cards firmly in place. Custom printed gift card holder boxes are also available in an elegant white glossy finish. You can also choose a color of your choice. The standard custom printed gift card holder boxes are a seamless and economical solution to all your gift card packaging desires. 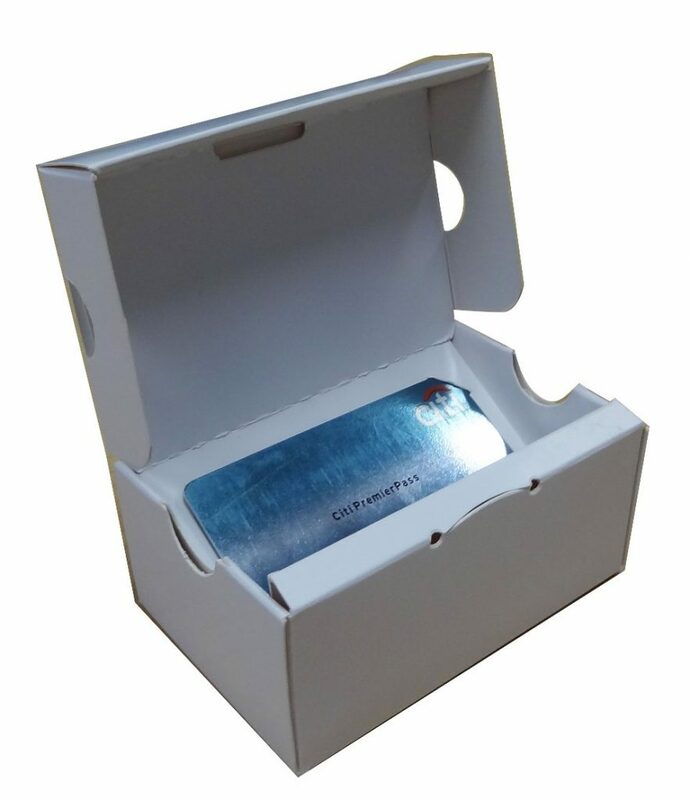 All custom printed gift card holder boxes have a raised cardboard platform which can be used to display the gift cards available. Our gift certificates boxes are the perfect way to stunningly showcase your gift certificates. Each box contains an eminent white gloss platform insert which perfectly displays certificates. If you want more information regarding our services feel free to contact us at any time.